My skull ocarinas are available in two sizes, a pendant to wear as a necklace, and a larger alto to fit in your pocket. 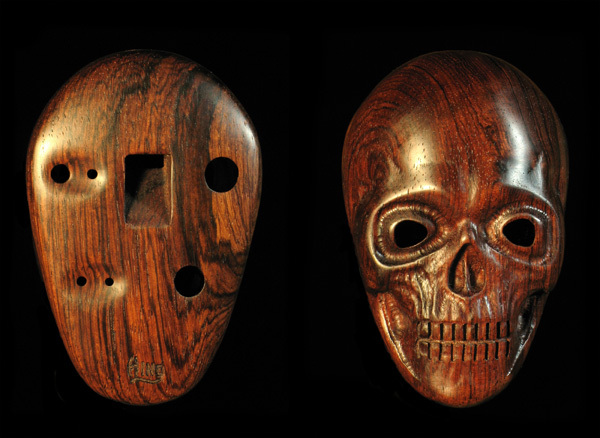 The intricate carving in these ocarinas demands extremely dense hardwood to maintain the precise detail. For this reason, they are available only in the finest rosewood. Skull pendant ocarina in the key of F. Click on thumbnail at left for larger images and more information.